How and why did Eccentrips become a cycling blog? Hey dear reader, this is the first post of the new Eccentrips cycling blog, and I could not be happier that you are taking time out to read this. Some of you that have followed or stumbled upon Eccentrips earlier know that it was not a cycling focused blog that it is now. So just for this one post, for old readers and new, allow me to share the back story, because I think it is important to be honest with you about everything. I was well into the 8th year of my PR career when I quit my job on my 32nd birthday. A life of adventure was what was ahead of me. About to embark on a personal travel project, I was filled with anxiety, dreams and hope. The first challenge I took up was cycling from Mumbai to Goa. I had never cycled long distance earlier. 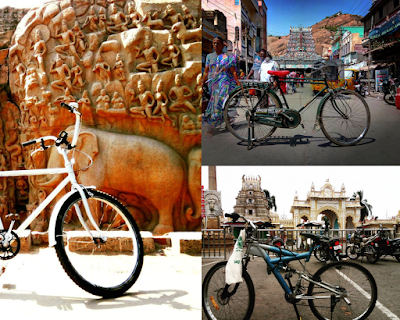 My prep for Mumbai to Goa solo cycling trip on 23rd December 2014. In those 12 days, I experienced some of the best moments of my life. Met some great people on the road, understood myself better and pushed my physical as well as mental boundaries. I also discovered fascinating stories like the temple of Vetoba, which I later wrote about for NatGeo. It was then time to start my '12 project'. I was to take 12 challenges in a year in 12 countries. Of course, this was the most exhilarating period of my life. Eventually I visited 14 countries in a year and a half. Many friends and brands supported the trip through crowdfunding and many other ways which I will always be grateful for. 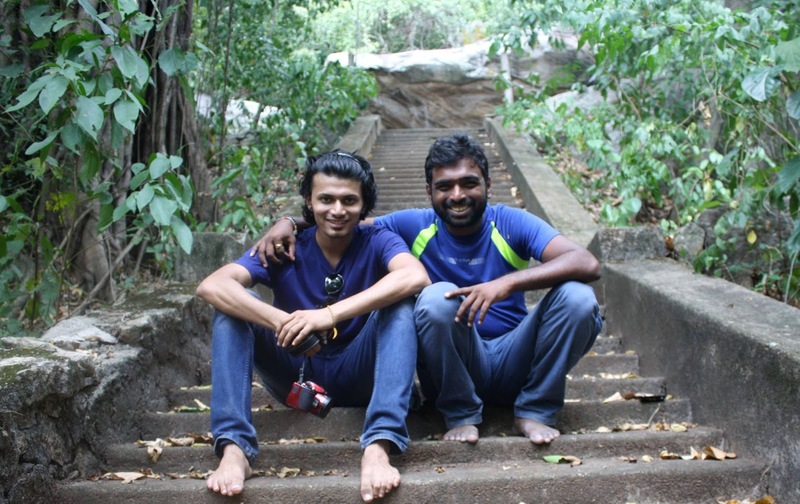 Quite early on in this journey, Mohit - a blog follower who later became a friend, joined me on this trip. I had already been to Brazil, Bolivia, Peru and Ecuador by the time he arrived to team up in Colombia. Some of my challenges included reaching the last railway station in every major direction in India, learning rock climbing in Thailand, exploring Sri Lanka and its ex war zones, learning music in Salvador(Brazil), attempting Capoeira in Rio De Janeiro(Brazil), fighting at a festival in Peru(you should watch the video here, it is the craziest thing anyone can ever do) and learning Salsa in Colombia(some of the most fun days of my life!). 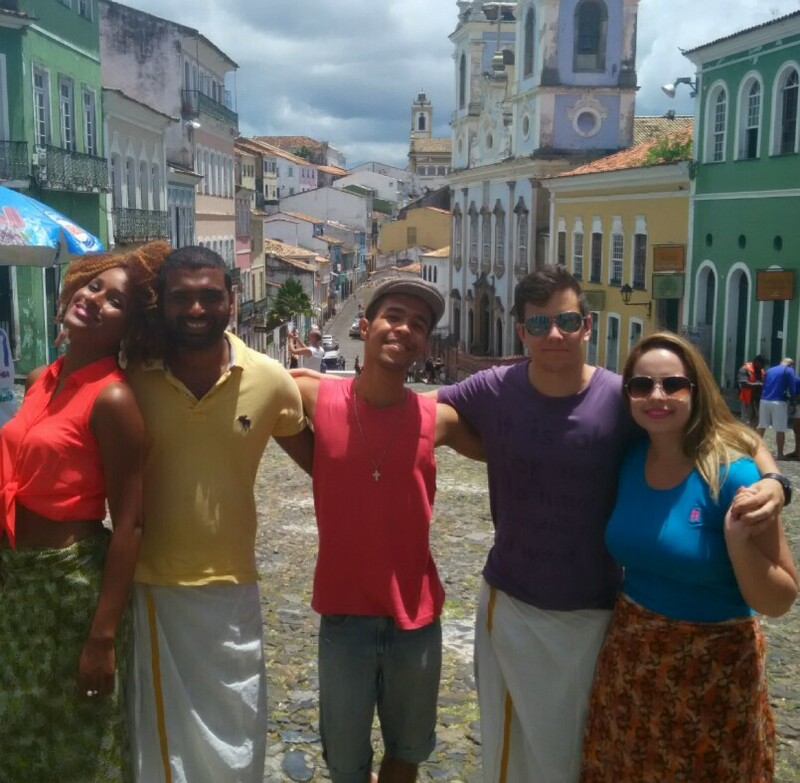 With my Brazilian friends in Salvador. I made them do the Lungi dance! Mohit and I then travelled through Colombia for three months making great friends and memories. It was during this time that Eccentrips was born. I worked on the written word and stories, Mohit on the design and tech side of things. 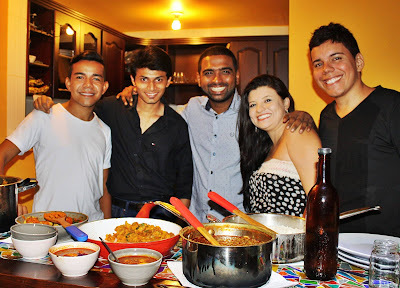 Mohit and I hosting an Indian dinner for friends in Colombia. Next on our list was Central America. We worked our way north from Panama to Costa Rica and then Nicaragua. As luck would have it, I was infected with Dengue in Costa Rica and somehow made my way to Nicaragua. It was here that I decided to pause this grand journey though we were meant to keep taking challenges and make our way to New York in USA. After eight challenges I decided it was time to take a flight back home to Mumbai, India. The facebook post when I was just about to leave Nicaragua to come back home to India. My body wasn't feeling great due to Dengue, and I knew I needed time to recover. 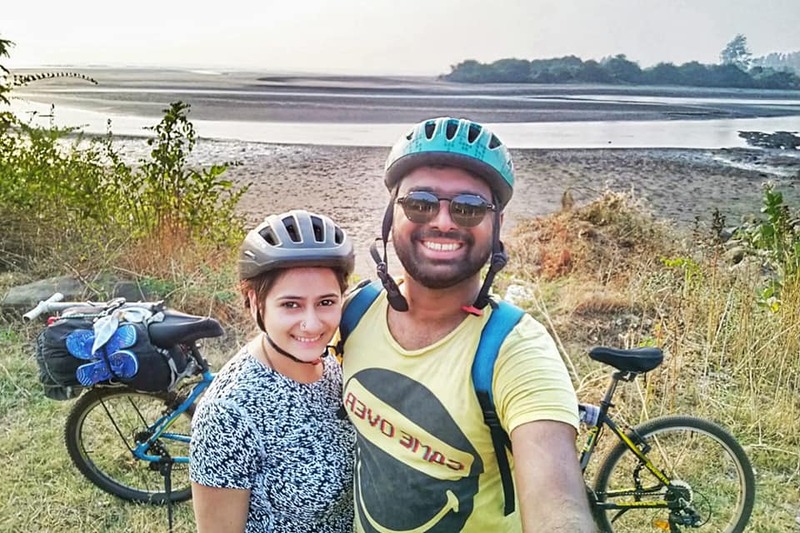 Mohit decided to carry on by cycling through Central America, but as luck would have it he had to return in less than a fortnight as well(that's a story for another day). 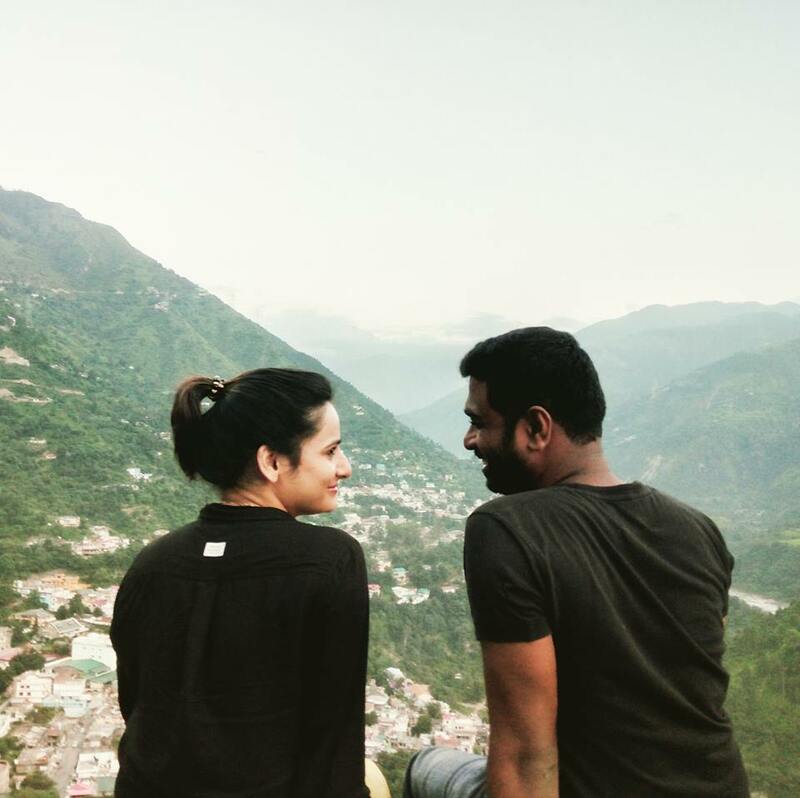 After he was back, we continued traveling and blogging in India. Just when things were picking momentum as a team and a travel entity, he had to move to Canada(that's another story for yet another day - well that's Mohit, he is the unwilling protagonist in both these stories). My travels then took me to many places in India, and I continued to write for publications such as Mint Lounge, Firstpost, The Quint, Dailyo, Roads and Kingdoms and others. That is when an interesting offer to build a content company came my way. It was too good to refuse, the learning and opportunity were immense. And even bigger event in my life was that I had met someone I wanted to be with forever. More importantly, that gorgeous someone was also ready to put up with me for life. Obviously then, Eccentrips had to take a backseat. The blogging, writing and traveling slowed down in 2018. One stupid mistake, and I lost almost all the content on the website(it is now in my hard drive and will go up on my personal blog one by one). With the gorgeous someone who is now my wife. Now every story has its ups and downs. The story of Eccentrips has a few more than you'd normally expect. Despite my best intent and efforts, the other company I was trying to build did not take off, and we(investors and partners) decided to slow down. Maybe I was meant to learn more about business, or probably I was meant to be in travel space. I guess and hope both statements are true. But that was also the pre-cursor of Eccentrips making a comeback. While making plans for the next phase of my life, I decided to take a long distance cycling trip with my wife. Fortunately, she agreed. Exactly four years after my first cycling trip(remember my first cycling from Mumbai to Goa? 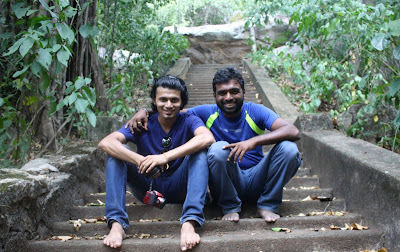 ), we were on the same roads from Chiplun to Mumbai. Now I do not know if its common to get an epiphany on a cycle. But I think I did get one. While cycling on a beautiful stretch in Konkan, I dreamingly wondered, "what if I could just cycle like this every day of my life? What if I could stay in villages, get to know the world better and make a difference to fellow cyclists?" So friends, that's that. I realised that I possessed a deep love for cycling adventures and had cycled in many places even without consciously making plans. Right from Mumbai to Delhi. 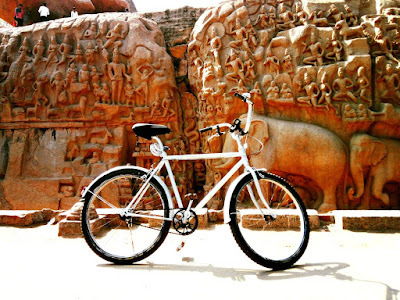 I had also cycled in Chennai, then rode all the way to Mahabalipuram and returned on the same day. Even in Pondicherry I moved around on two wheels. 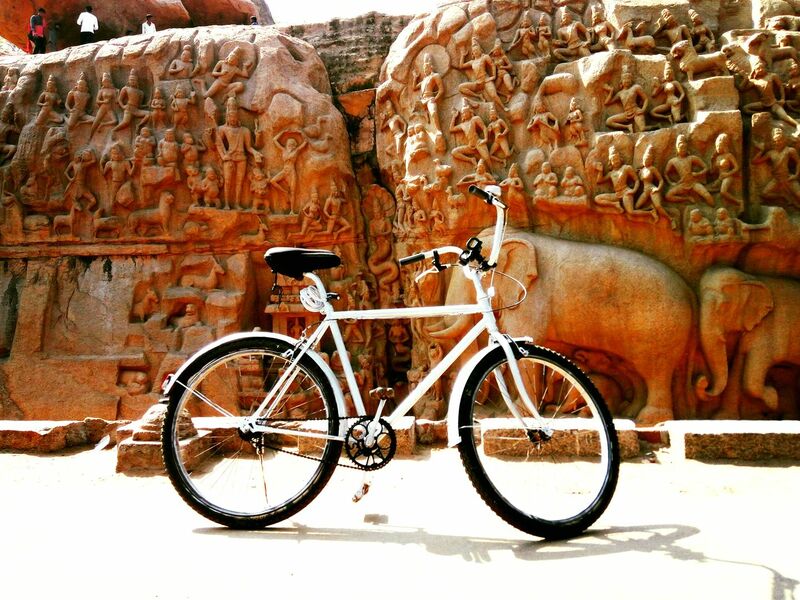 Whenever I visit my native Udupi, I grab a bike and go out exploring every morning. Cycling has been the one of the few constants in my not so linear life over the past few years. That's the reason why Eccentrips is now going to be focused on cycling and organising cycling vacations in its new avatar. Yes, I do strongly believe that holidays spent on a cycle are the best ones. But even more importantly, this time around, my focus will be you. Eccentrips is no longer about me and my trips. It is about how more of us can fall in or deepen our love for cycling. My dream is to make cycling vacations a thing in India. I am certain we can. So feel free to drop me a message, ask me questions or even share information about cycling. And if you have done a ride that is worth sharing, don't hesitate to ping me. P.S: My dear friend Mohit continues to support me in many ways from Canada. I hope when he is back in India, we will continue to work together as a team focused on epic cycling vacations. Awesome.... You are living a dream which many us just let go of it.